Designed for stability and comfort, the Tsomo is our shortest and widest adult’s sit-on-top. Its compact length makes it convenient to transport on the roof racks of a sedan or on the back of a bakkie (aka ‘pickup truck’). It is also easy to store if storage space is a concern. Naturally, the smaller size and lighter weight compared to the longer models in our line-up make it easy to carry around and load on top of roof racks. The Tsomo is alert, playful and responsive. It turns on a dime, cruises on flatwater and is a pleasure to paddle. It is not designed to win any races, but it has plenty of speed and glide for such a short sit-on-top. Its width aids stability – a welcome feature when the wind whips up the water. Its large Tankwell allows you to transport a decent volume of gear, a child or a large dog. Use the front 8″ Screw Hatch for items that need to be stowed away even more securely. 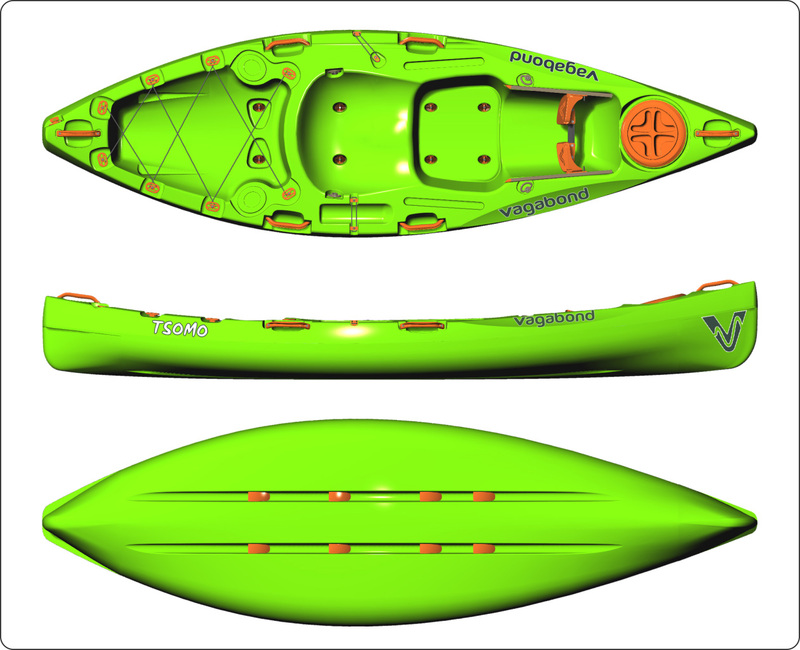 Like the other kayaks in our range of sit-on-tops, the Tsomo has a Sculpted Seat and a footwell that sits lower than the seat for all-day comfort. You might not want to paddle a long distance with this short sit-on-top, but you will be able to spend hours on it.